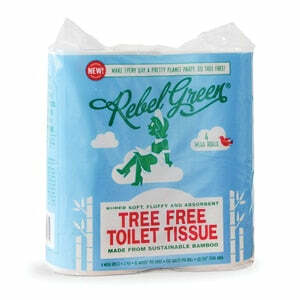 Home - Rebel Green: Eco-Friendly Products Responsibly Made in the U.S.A.
What makes Rebel Green the best product for you and your family? Rebel Green offers a full line of natural cleaning products that are designed to create cleaner, healthier living spaces at better value, combined with eye catching packaging. We use only the highest quality natural ingredients. Our products will become habit forming and will encourage people to make the switch from conventional products to Rebel Green’s natural lifestyle. Natural cleaners work just as well, if not better than conventional cleaners and are better for people and the planet. The Bullseye Design, Target are registered trademarks of Target Brands, Inc. I am a Marketing & Communication Manager for Tourism in our area and we own a local Ice Cream and Coffee shop. I am allergic to everything and most cleaners smells. When I found yours I was so happy and impressed! We use the glass cleaner and more now! I love this product! They stopped selling it at the store and immediately got online to replenish. No way I'm using another product. Rebel Green Vegetable Wash is on my favorite things to use on my produce! Just a couple of sprays is all you need, rinse off and you're produce looks fresh and clean and beautiful. I always have it on hand. Excellent product! My second favorite must-have item is the Pink Lilac Room Spray. You will not be able to find anything like it of this kind. The fresh floral scent will send you AND its all made from organic essential oils. No other room spray can compare. LOVE Rebel Green!